Think of all the work that goes into getting a birds-eye view of our home planet. Now imagine how hard it would be to snap a photo that manages to capture our entire galaxy. 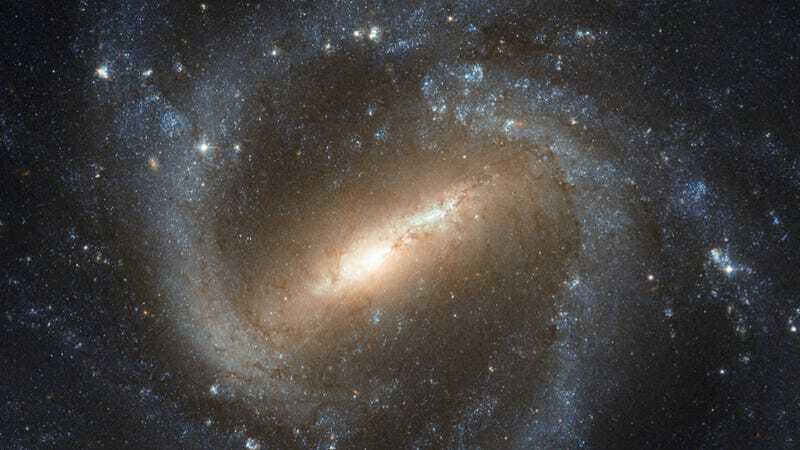 We're obviously nowhere near being able to photograph the Milky Way from the outside, so scientists do the next best thing by photographing galaxies very much like ours — like NGC 1073, the so-called "barred" spiral galaxy pictured here, recently captured by NASA's Hubble telescope. Bars are a bit odd, since you'd expect the arms just to wind all the way down to the center. But the gravity of a galaxy isn't like the gravity of a solar system, with a big heavy star sitting in the center. Galaxies have their mass spread out over a long distance, so what gas and dust clouds and stars feel in the way of gravity is different, and bars are a natural outcome of that. However, they're still not perfectly understood. Bars may form when galaxies collide, and they might be an indication of a galaxy reaching middle age. Perhaps there are other factors as well. An important thing too is that the two galaxies are different in some ways: NGC 1073 has more open arms, for example, compared to our more tightly wound arms [the image shown here is a mock up of the Milky Way, generated from detailed observations]. Those differences are telling us something as well. 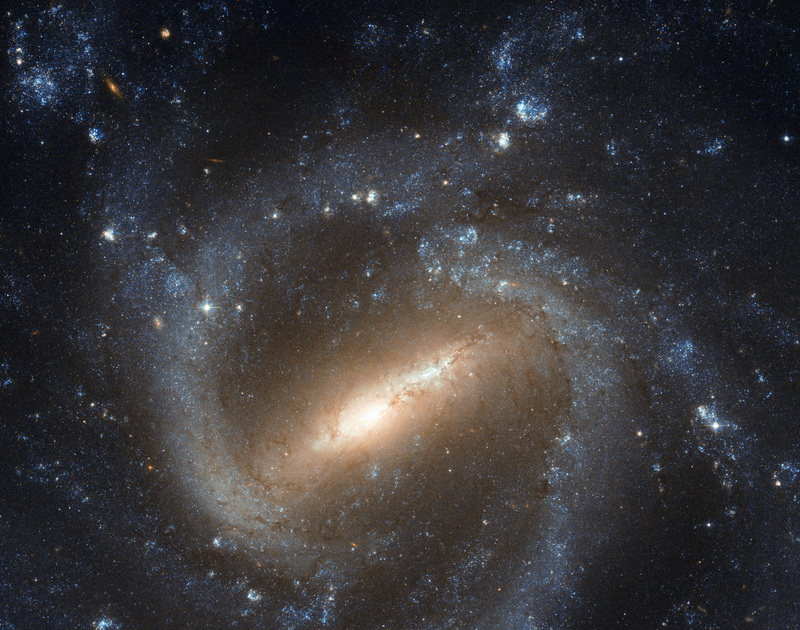 What is it that makes one galaxy hold its arms closer in, and another to fling them out? Why does this galaxy have two arms, and that one three? If you can look at two galaxies that are alike except in one way, it's easier to isolate the cause. So studying NGC 1073 is a great way to study ourselves.